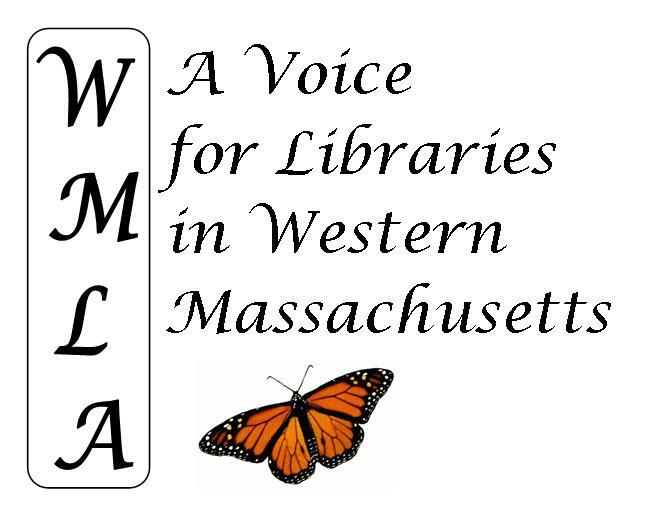 THE WESTERN MASSACHUSETTS LIBRARY ADVOCATES, INC.
FRIENDS OF THE WESTERN MASSACHUSETTS REGIONAL LIBRARY SYSTEM, INC. SECTION 1.1. 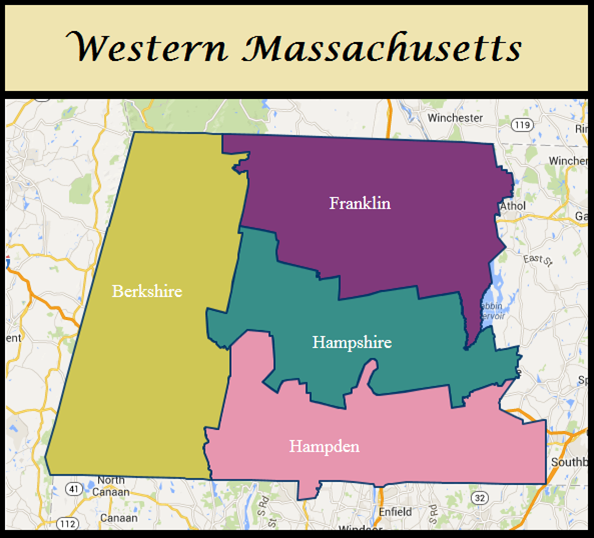 NAME: The name of this Corporation is the Western Massachusetts Library Advocates, Inc. This Corporation shall be hereinafter referred to as the Organization, WMLA or as the Advocates. SECTION 1.2. STATUS: The Corporation shall not be operated for financial profit. Conducting fundraising activities in support of the Organization’s ongoing efforts on behalf of the libraries of Western Massachusetts. SECTION 2.2. This corporation is organized exclusively for one or more of the purposes specified in Section 501 (c) (3) of the Internal Revenue Code. SECTION 2.3. This corporation may undertake any other related activity which is consistent with its status as a Massachusetts Non-Profit Corporation (Chapter 180 of the General Laws) and which is consistent with its tax exempt status under USC Section 501 (c)(3). SECTION 3.1. MEMBERSHIP: Membership in this Organization is open to all who are in sympathy with its aims and purposes and who pay annual membership dues. SECTION 3.2. DUES: Dues are fixed from time to time by the Board of Directors; any changes require a vote of approval from the membership at an Annual or Special Meeting. The membership year extends from October 1 to September 30. SECTION 3.3. MEMBERSHIP CATEGORIES: Dues amounts vary according to the category selected by and appropriate to the member. Membership categories and annual dues amounts for each are listed in Appendix A of these Bylaws. SECTION 3.4. Former members whose dues are in arrears shall be reinstated immediately upon payment for the current year. New memberships become effective upon payment of dues for the current year. SECTION 4.1. OFFICERS: The officers of the Organization shall be a President, a Vice-President/President Elect, Past President, a Treasurer, an Assistant Treasurer and a Clerk who shall be elected at the Annual Meeting of the organization. The office of the President shall be filled by the Vice President/President Elect who has completed his/her one year term as Vice President/President Elect. The office of the Past President shall be filled by the President who has completed his/her one year term as President. Each officer shall hold office until a successor shall have been elected and qualified. The Treasurer, Assistant Treasurer and Clerk are elected for three-year terms staggered for continuity of service. SECTION 4.2. DUTIES: The President shall have general charge and supervision of the Organization’s affairs and activities within the scope of policies determined by the Board of Directors. The President shall preside at all meetings of Members and of the Directors. The President shall make a report to the Members at each Membership Meeting. The President shall sign any contracts in the name of the Organization when authorized to do so generally, or in special instances by the Board of Directors. If deemed necessary by the Board of Directors, the President shall be empowered to sign checks for the Organization. After completion of his/her term of office, the President shall serve as Past President on the Board of Directors, with voting rights, for a one year term. The Past President shall chair the Nominating Committee. The Vice-President/President Elect shall have and may exercise such powers of the President as may from time to time be assigned by the President and shall have such other duties as shall from time to time be assigned by these Bylaws or by the Board of Directors. The Vice-President shall preside at Meetings in the absence of the President. The Vice-President shall chair the Education and Programming Committee. At the end of the outgoing President’s term, the Vice President/President Elect shall assume the office of the President for a full year. The Treasurer shall have custody of all funds of the Organization and shall deposit the same with such bank or banks as the Board of Directors shall from time to time determine. The Treasurer may endorse for collection checks and other obligations and shall deposit same as provided herein. 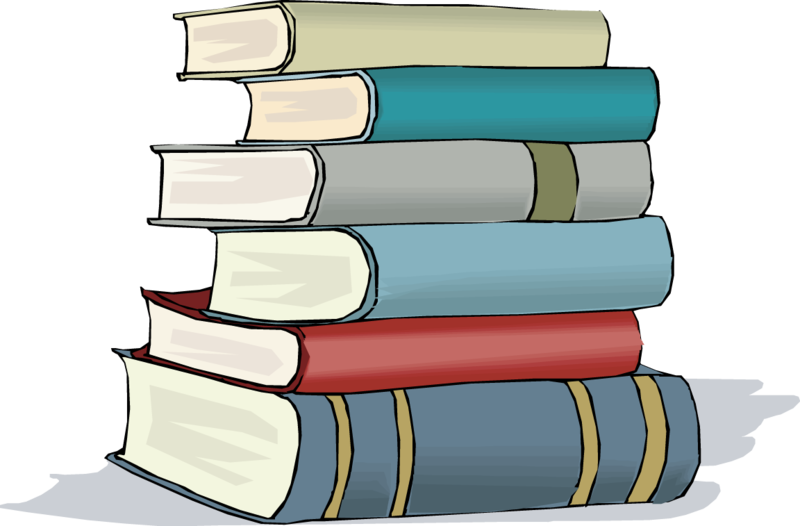 The Treasurer shall cause to be entered regularly, in books kept for the purpose, full and accurate accounts of all monies received and paid on account of the Organization, and whenever required by the Board of Directors shall prepare a report for each fiscal year to be presented at the Annual Meeting. The Treasurer shall perform all acts incident to the position of Treasurer subject to the control of the Board of Directors. The Assistant Treasurer shall aid and assist the Treasurer in the performance of the duties of that office and shall have and may exercise such powers as the Treasurer may assign to him or her. The Clerk shall keep the minutes of all Meetings of Members and the Board of Directors. The Clerk shall receive and retain copies of minutes of all committee meetings and shall give or serve all notices of the Organization. The Clerk shall receive and retain records of Members and shall perform all duties incident to the Office of Clerk subject to the control of the Board of Directors. SECTION 4.3. A vacancy in any office because of death, resignation, disqualification, or otherwise may be filled by the Board of Directors until the next annual meeting. A vacancy in an office shall be filled by the affirmative vote of a majority of the Board of Directors in office at the time such vote is taken. SECTION 4.4. COMPENSATION: Officers shall serve without any compensation. SECTION 4.5. TERMS OF OFFICE: Board Members serve three (3) year terms. For continuity, at least one Director-at-Large is elected each year. Presidents and Vice-Presidents shall be eligible for reelection for one (1) additional year. Treasurers, Assistant Treasurers and Clerks shall be eligible for reelection for a term of three (3) additional years. SECTION 5.1. The Board shall consist, at minimum, of 9 persons: the 6 officers and three Directors. The maximum number, with the addition of more Directors, shall be no more than 12. The Board shall have charge of the administrative and financial affairs of the Organization. All six officers as defined in Article IV, Section 1, shall serve as voting members of the Board. The President shall act as Chairperson for meetings and a majority of Board members shall constitute a quorum. SECTION 5.2. MEETINGS BY TELEPHONE: One or more members of the Board of Directors may participate in any regular or special meeting of the Board by means of conference telephone or similar communications equipment by which all persons participating in the meeting are able to communicate with each other at the same time. Such participation shall constitute presence in person at such meeting. SECTION 5.3. ACTION WITHOUT A MEETING: Any action required or permitted to be taken at any Board meeting may be taken without a meeting if a consent in writing, setting forth the action as taken, shall be signed by all of the directors with respect to such subject matter. Such consent, which may be signed in counterparts or communicated through facsimile or other means, shall have the same force and effect as a vote of the Board of Directors. SECTION 5.4. WAIVER OF NOTICE FOR MEETINGS: Whenever any notice of a meeting is required to be given to any Board member under the Articles of Organization, these Bylaws, or the laws of Massachusetts, a waiver of notice in writing signed by the Board member, whether before or after the time of the meeting, shall be equivalent to the giving of such notice. SECTION 5.5. Directors shall be elected to a term of 3 calendar years. The Vice-President/President Elect/Past President shall be elected to a three calendar year term regardless of previous service on the Board. Directors shall be limited to 2 full consecutive terms. Previous Directors, having served two consecutive terms, must be absent from the Board for one year before serving again. SECTION 5.6. This Board shall have the power to establish policies governing the affairs of the organization in accordance with these and any future Bylaws voted by the membership. SECTION 5.7. This Board may establish Committees and appoint Committee Chairs as needed or prescribed in the Bylaws. SECTION 5.8. Committee Chairs, whether of a standing or ad hoc committee, serve as voting members of the Board. SECTION 5.9. Board Members shall serve without any compensation. When authorized by the Board, reimbursement may be made for any out-of-pocket expenses in discharging official duties, but no part of the net earnings of the Organization shall inure to the benefit of any member, officer, or individual. SECTION 6.1. The Board of Directors may designate one or more committees. Each Committee shall be composed of at least one (1) Director, together with other members as may be appointed by the Board of Directors from time to time to consider and make recommendations to the Board on matters affecting the Organization and to perform any function delegated to it by the Board. SECTION 6.2. Standing Committees shall be named Bylaws Revision, Membership, Nominating, and any other committee deemed necessary by the Board of Directors. Members of any committee shall serve at the pleasure of the Board of Directors. Upon receipt of a final report, the Board of Directors may discontinue such committee or committees. SECTION 7.1. BOARD OF DIRECTORS’ MEETINGS: Board of Directors’ meetings shall be held at such dates, times and places as determined by the Board. SECTION 7.2. ANNUAL MEETING: The Annual Meeting of Members shall be held in October at a day, time and place as determined by the Board of Directors for the purpose of electing, as necessary, a President, Vice-President, Treasurer, Assistant Treasurer, Clerk, and in staggered terms Directors-at-Large and for the transaction of such other business as may be brought before the meeting. SECTION 7.3. SPECIAL MEETINGS: Special Meetings may be called at any time by a majority vote of the Board of Directors. At a Special Meeting, no business shall be transacted other than that stated in the notice of the Meeting. SECTION 7.4. PLACE OF MEETING: Every Meeting of Members shall be held at such date, time and place as shall be determined by the Board of Directors and stated in the notice of the Meeting. SECTION 7.5. NOTICE OF ANNUAL MEETING: Notice of Annual Meeting of Members shall be given by the Clerk to be distributed (mail, email, delivery or other standard mechanisms) at least fourteen days before the Meeting to each Member at his/her address as it appears on the records of the Organization. The notice shall state the day, hour and place at which the meeting is to be held. SECTION 7.6. QUORUM: There shall be no membership quorum requirement for the holding of any Annual Meeting or Special Meeting of the Membership. SECTION 8.1. REGULATIONS: The Board of Directors shall have the power and authority to make such rules and regulations as it may deem necessary concerning and governing the activities of the Organization and the care, custody and use of its properties. SECTION 8.2. FISCAL YEAR: The Fiscal Year of this Organization shall comprise the period beginning October 1 and ending September 30 in each year consistent with the membership year. SECTION 8.3. CHECKS, NOTES, ETC. : All checks, drafts, notes or other obligations and orders for the payment of money shall be signed by the Treasurer at the direction of the President. Any expenditure in excess of $200.00 shall be approved by a majority of the Board of Directors. Checks, drafts, notes or other obligations and orders for payment of money to the Organization may be endorsed for deposit to the credit of the Organization with a duly authorized deposit by the Treasurer or the Assistant Treasurer. SECTION 8.4. WAIVERS OF NOTICE: Whenever any Notice is required to be given under these Bylaws, a waiver thereof, in writing, signed by the person or persons entitled thereto, whether before or after the time stated therein, shall be deemed equivalent to such notice. SECTION 8.5. PARLIAMENTARY AUTHORITY: The rules contained in the current edition of Robert’s Rules of Order Newly Revised shall govern this Organization in all cases to which they are applicable and in which they are not inconsistent with the Bylaws of this Organization. Upon dissolution of this Organization, none of the properties then owned by the Organization shall be distributed to or inure to the benefit of any Director, Officer or Member thereof. Any such properties may, by vote of the Membership, be conveyed to a 501 (c) (3) non-profit organization to benefit one or more organizations which have operations consistent with the purpose of this Organization anywhere in Massachusetts and are exempt under the provisions of Section 501 (c) (3) of the Internal Revenue Code or the corresponding provisions of any federal tax law which shall be in effect. SECTION 10.1. These Bylaws and any amendments thereof may be altered, amended or repealed or new Bylaws may be adopted by the Board of Directors at any meeting by the affirmative vote of all members of the Board. Bylaws adopted by the Board of Directors may be altered, amended or repealed and other Bylaws may be enacted by the Members of the Organization at any meeting, the notice of which shall have stated the proposed alteration, amendment, repeal or enactment as one of the purposes of the meeting. SECTION 10.2. Proposed amendments must be announced to the Membership at least seven days in advance of the meeting at which a vote will be taken. The Bylaws may also be amended through a ballot to be distributed (mail, email, delivery or other standard mechanisms) to the Membership following a majority vote of the Board of Directors; in the latter situation, explanatory statements shall accompany the written ballot for any substantive change. Student / Senior/Retiree $ 10.